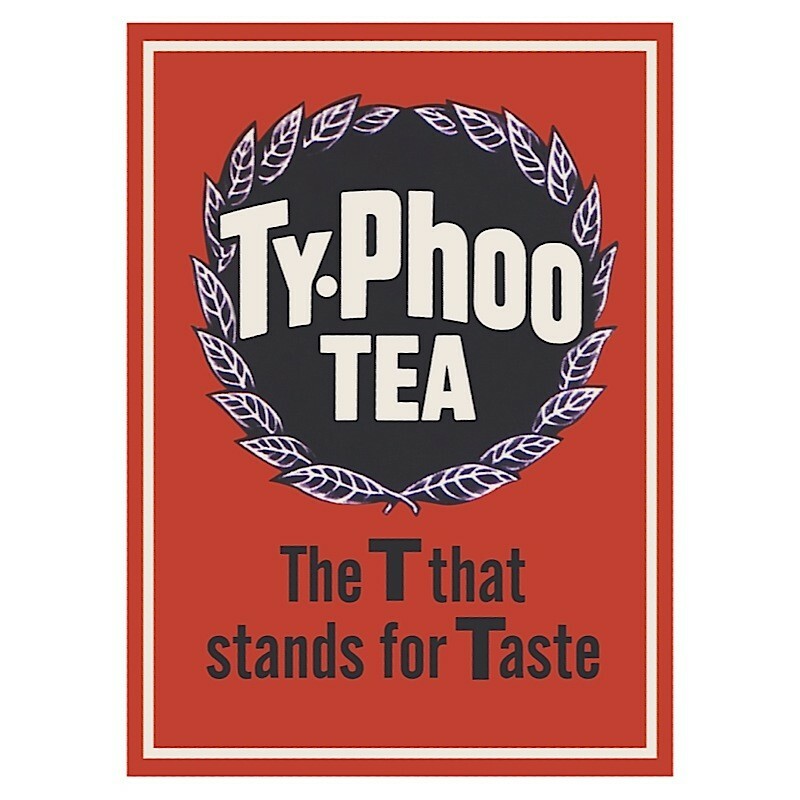 Typhoo has been one of the highest selling tea brands in Britain since the 1930s. William Sumner (born c. 1796) established a grocery business with an emphasis on tea, at 96 High Street, Birmingham in 1820. In 1852 it passed to his son John Sumner Snr. John Sumner Jr (1856 – 1934) joined the family business after leaving school, and began to package and market a blend of tea leaf tips from 1903. Packaged tea was a relatively unknown item in Britain at the time, as the product was generally sold loose from shops. Previously the market had been dominated by whole leaf tea, and the tips had been discarded. Sumner successfully marketed the tips as a cure for nervousness and an aid to digestion under the brand name Typhoo Tipps. 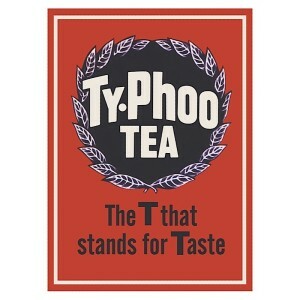 He derived the Typhoo name from a Chinese word meaning doctor. Sumner divested the grocery business in 1905 and founded a private company to produce and market his packaged tea. A factory was established at Castle Street in Digbeth, Birmingham. Rapid expansion occurred with assistance from aggressive marketing. Sumner established a blending operation in Ceylon in 1909. This allowed him to buy directly from growers, thus saving costs by cutting out the middleman. Sumner retired in 1926 and dedicated much of the rest of his life to philanthropy. The business was taken over by his son, John Richard Hugh Sumner (1887 – 1971). The factory was relocated to Bordesley Street, also in Digbeth, in 1930. 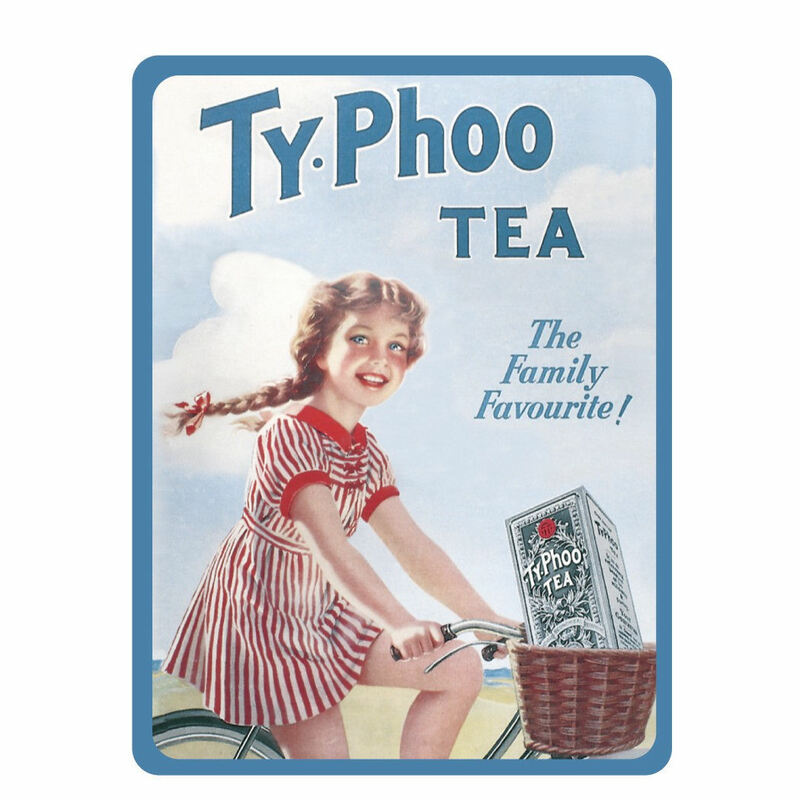 Typhoo tea was sold in over 40,000 outlets by the early 1930s, making it one of the highest selling packet teas in Britain. Operations ended in Ceylon in 1933, after it was discovered that the Ceylon agents were overcharging the company for inferior tea. John Sumner died in 1934 and left an estate valued at £740,041. Wartime bombing damaged the company factory in Birmingham in 1941. With reconstruction materials scarce, limited production was relocated to Brooke Bond and J Lyons for the remainder of the war. 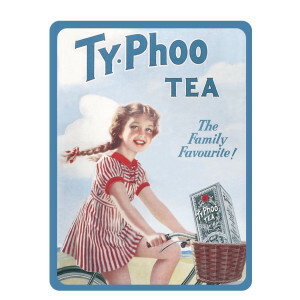 Typhoo was incorporated with a capital of £750,000 in 1949. This figure was increased to £1.1 million in 1954. A £22 million takeover bid by Kraft of Chicago was rejected in 1960. Typhoo held around 15 percent of the British tea market throughout the 1960s, behind Brooke Bond and the Co-op, and alongside J Lyons. Sumner retired in 1966 and the managing director, Henry Claude Kelley (1897 – 1974), became chairman. Typhoo began to manufacture tea bags from 1967. Due to its late entrance, rival companies such as Tetley and Brooke Bond already had firm footholds in this increasingly significant market. Typhoo was acquired by Schweppes, the soft drinks concern, for £45 million in 1968. Schweppes intended to utilise its strong marketing skills and global distribution network to increase Typhoo sales. It was almost a merger of equals, with Typhoo shareholders holding around 40 percent of the combined entity. Schweppes merged with Cadbury in 1969. Immediately, Cadbury Schweppes considered relocating Typhoo production to their large factory in Bournville, but the low potential resale value of the Digbeth site meant that the proposal was discarded at that time. The 160,000 sq ft factory in Digbeth, Birmingham employed 550 workers when it was closed in 1978. All the workers were offered alternative employment by Cadbury, who had significant operations in the area. The closure occurred as the Birmingham site was unsuitable for conversion to high-speed production. Production was relocated to Moreton, Merseyside, which had been acquired by Cadbury in 1953 as a biscuit production plant. Moreton is conveniently located just a short distance away from the Port of Liverpool, where tea arrives by boat. Typhoo was subject to a management buyout in 1986, and the company became known as Premier Brands. That year Melrose, the Scottish tea business, was acquired. Typhoo was acquired by Premier Foods in 1990. In a marketing-led industry, the brand lacked an advertising campaign with the memorability of the PG Tips chimpanzees or the Tetley tea folk. Its share of the tea market was down to three percent by 1993. Premier Foods sold Typhoo to Apeejay Surrendra Group of India for £80 million in 2005. Typhoo placed fifth in the British tea market in 2015, with around ten percent market share. Typhoo tea is still manufactured at Moreton, where 260 people are employed. The factory is the largest packer of own-label tea in the UK, supplying all but one of the major retailers. The factory produces about 25 percent of all tea consumed in Britain.